I watched the PBS Special American Masters: John Lennon last night. 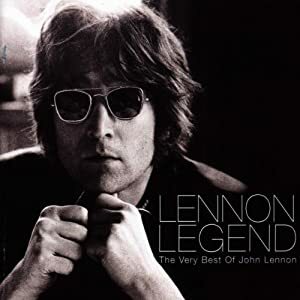 In one segment, the documentary told the story of how John Lennon, when Elton John asked him to come to New York and perform on stage with him at the Madison Square Garden, promised that if his new song “Whatever Gets You Through the Night” became a #1 hit, he would take him up on that offer. Lennon, likely to his surprise, had to make good on his offer in 1974. He had trepidation regarding his appearance to the extent that he was physically ill. He was going through a period in which his controversial opinions and outspokenness had garnered a great deal of criticism in the press, and his perception of his public image was being shaped by that coverage. To his surprise, the audience gave him an extended ovation that Elton John described as “the greatest ovation I’ve ever heard for anybody in my whole life.” Yoko Ono was so moved by that reception and how it affected her husband that she was teary-eyed decades later recalling that event. Interesting that even someone with the artistry and success of John Lennon would be apprehensive about how he would be received, but I guess there’s a little insecurity in everyone. But artists are in the business of putting themselves and their work on the line, subject to public scrutiny all of the time. And that’s just what John Lennon did to great success.